With the new tax year looming, it is important to re-examine how the latest Budget – the first Conservative Budget for 19 years – will affect the dental profession. Having had time to evaluate the pending changes, it seems that dividend taxation could have the largest impact, especially those drawing dividends from their own limited company. As dividends from UK shares are currently paid for with a 10% tax credit, previous years have presented incorporations with opportunities for reducing tax. From 2016, however, all dividend income will be treated as untaxed income and the current system will be replaced with a tax-free dividend allowance of £5,000 with higher taxes on income above that. What this ultimately means, is that practices will see a 7.5% increase in tax on any dividend income above the £5,000 tax-free allowance. Although this is an aspect that will undeniably affect incorporated practices and their overall income, for those considering the decision to incorporate in the future, it could be pertinent to seek out professional financial advice to determine if it is the right decision to make. In regards to dividend income received on Stocks and Shares ISAs and private pensions, however, thanks to the 1997 Budget, there will be no tax consequences introduced. This is good news for private pension protection, especially as tax relief claims will shortly be changing from £40,000 to £10,000 for dentists with incomes over £150,000 per annum. The changes to employment allowance, income tax and inheritance tax are much more promising. Indeed, as from April, the employment allowance will be increased from £2,000 to £3,000 for all private practices. With the additional increase of the income tax higher rate threshold from £42,385 to £43,000, the Budget does present potential benefits to practices and dentists alike. This is especially true where inheritance tax (IHT) applies. With the transferable main residence allowance set to gradually increase from £100,000 in April 2017 to £175,000 per person by 2020/21, this may prove to be a comforting thought for dentists and their families who have concerns about the effects of the Budget. All in all, the Budget has revealed some interesting changes. While George Osborne and his fellow Conservatives expect to see public finances run at a surplus from as early as 2019, it would be prudent for all practices and dentists to stay cautious of what the future holds. Ultimately, until the changes take full effect it is uncertain what financial downfalls and benefits may occur, which means for now, preparation and calculation are very much advised. If you are unsure of how the Budget affects you, contact money4dentists today. 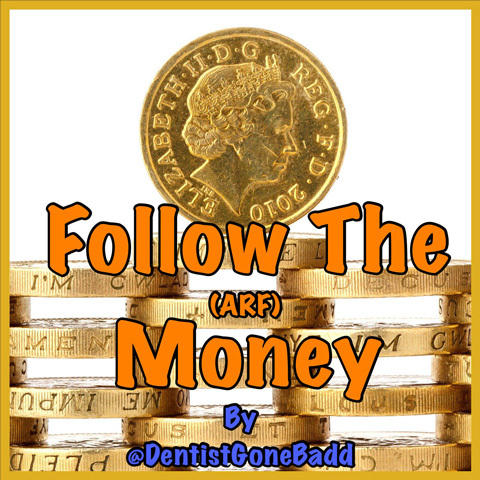 The majority of dentists will not be financial experts. The team at money4dentists are. Running a dental practice as a successful business includes many complicated aspects, some of which are far beyond the knowledge imparted at dental school. To achieve business prosperity and security these factors need to be efficiently managed. This is where money4dentists can help. With excellent knowledge of the dental sector, the team of expert advisers can help with any financial query practice owners might have. As IFAs, they offer objective, unbiased advice – meaning you can be assured that the only thing they have in mind is your best interests. Whether it’s income protection, mortgage advice or tax planning, the IFAs at money4dentists will you their in-depth knowledge to offer you relevant and appropriate advice, every time. Contact the friendly and professional team to find out just how they could help you today. For an employee to feel truly valued, they need to know that they are being paid adequately for the job they do and that their employer is committed to their welfare and wants them to stay. As a dental practice owner, you will probably employ part-time staff – are you sure that you are paying them enough, even if they are not working as many hours as others are? This is essential after the prime minister unveiled changes to the rules around the National Living Wage (NLW) in September 2015. The measures significantly toughened the regulations that were already in place, emphasising a message of ‘zero tolerance’ for employers who fail to comply. Under the new laws, the NLW for workers over the age of 25 will be £7.20 an hour from April 2016 and by 2020, it will be at least £9. To ensure that employers comply with this, the government also announced a new unit at HMRC created specifically to deal with firms that are not paying the NLW. Until the measures were announced, if an employer was caught out, they had to repay the amount they had underpaid plus a non-payment penalty. In September, the prime minister confirmed that this penalty would be doubled to a whopping 200% of the underpayment. Moreover, any business owner found guilty may also be disqualified from being a company director for 15 years. These penalties are harsh and a small-to-medium-sized business, which many dental practices are, would simply not survive them. Whilst some employers are making a genuine mistake, it is still the responsibility of the business owner to make sure the new rules are properly enforced and all criteria met. Don’t get caught out! Part of running a successful dental practice is looking after every member of staff and making it a great place to work. Get expert advice to keep you up-to-date with the law, so that everyone can focus on delivering the very best in patient care. Specialist medical and dental accountants Lansdell & Rose can help you understand and apply employment law. The team also has a wealth of knowledge on a range of topics from pensions to tax to help your business grow. Visit www.lansdellrose.co.uk or call 020 7376 9333. When it comes to pensions and annuities, the Government is constantly changing the rules and moving the goalposts. It’s no wonder many dentists are struggling to know which decisions to make in regards to their own retirement. Luckily money4dentists is here to help. As specialist Independent Financial Advisers (IFAs) to dentists, the money4dentists team have over half a Century’s experience in the profession and are there to help ensure you make the optimum decisions when it comes to your finances. From the economic climate to the amount in your pension and from your geographic location to your health and lifestyle; the amount you receive from an annuity depends upon a long list of variables. So if you are considering retiring soon, or want to be sure to plan for a secure, worry-free future, it pays to seek out the advice of an IFA that has experience and understanding of your profession. Turn to the experts at money4dentists and take a step towards a safe financial future. For more information please call 0845 345 5060 or 0754 DENTIST. On 25 November 2015, the Chancellor of the Exchequer George Osborne revealed the 2015 Spending Review and Autumn Statement. In the Summer Budget, Osborne declared it was time to become a country of higher wages, lower taxes and lower welfare. It would seem that the Review looks to reinforce this. However, how will this affect the dental profession, if at all? There are some aspects of the Autumn Statement that won’t affect dentists, but taxation on savings and pensions might. It is prudent to note that the band of savings income that is subject to the 0% starting rate will remain at £5,000 for 2016/2017 – a relevant point for those looking to achieve savings on tax through proactive mitigation. In regards to individual savings accounts (ISAs), the limit will remain at £15,240. The Statement also announced that the list of qualifying investments for the new Finance ISA is to be extended in Autumn 2016 to include debt securities offered via crowdfunding platforms. As for the ISA savings of a deceased person, they will continue to benefit from ISA tax advantages during the administration of their estate. The Review has also outlined plans to introduce legislation that will enable the pension tax rules on bridging pensions to be aligned with Department for Work and Pensions legislation. As for the pensions tax relief consultation that was launched in the Summer Budget 2015, the proposals will be published in the 2016 Budget. Another aspect of the Autumn Statement that might affect dentists is changes to inheritance tax (IHT). The Autumn Statement has revealed that inheritance tax rules are to be backdated to 2011 to prevent pension scheme members from being charged for inheritance tax if they don&apos;t drawdown their monetary funds before their death. For those looking to invest in additional properties, including buy to let properties and second homes, from 1 April 2016 they will have to pay an extra 3% in stamp duty. The money raised will be used to help those struggling to buy their first home. While this may be costly to some, it is certainly good news for the younger generation of dentists who are not yet on the property ladder. With announcements that a new Help to Buy equity loan scheme will lend 40% of the price of a home to those living in London, it is especially good news for those working and living in the capital. Additionally, there has been an increase in rent-a-room relief, which is the amount of rental income that can be received tax-free by individuals renting a room or rooms in their main residence. From April 2016, the tax-free amount will be increased to £7,500 per annum. All in all, the Autumn Statement was met with mixed reactions and certainly provides food for thought. For dentists specifically, there is much to be considered, but there is nothing that is especially concerning. If you are unsure what the Review might mean for you and your practice, it is always beneficial to seek out the advice of trusted financial professionals. By listening to the right advice, and being organised, purchasing your first property is an achievable goal. At the beginning of your dental career, when you have begun to put down roots in a practice, buying your own property will be the next obvious step. Of course, there will always be issues in the wider economy that may complicate the process, but it is always possible to overcome these. One-hundred per cent mortgages are almost obsolete nowadays and the chances of them coming back are slim indeed. Low-deposit mortgages are still out there, and there are schemes you may not know about that can help of which you may be unaware. For example, the Government offers Help to Buy equity loans schemes, which are available to first-time buyers on newly built homes in England. You will need to contribute 5% of the property price while the Government provides a further 20% and then a mortgage covers the rest. However, even with a low-deposit mortgage, your savings may not be enough. Many first-time buyers ask their family for help, but it is always prudent to document the arrangement thoroughly so everyone knows where they stand. The bigger the deposit you have acquired, the more options you will be offered. When you are looking at your savings, or when you are planning out how much you will need to save, you must not overlook all of the additional costs incurred when buying a property, such as mortgage arrangement fees and stamp duty. In the current financial market, first-time buyers might benefit from a fixed-rate mortgage. With the Bank of England set to increase the base rate in 2016, anyone on a tracker mortgage will see monthly repayments go up. And with interest rates predicted to rise, if you are on a variable rate mortgage, you may find yourself struggling with repayments. One of the advantages of fixed-rate mortgages is peace of mind. You have no idea how your financial priorities may change over the next few years, so if your mortgage repayments are static, so much the better. Of course, any advice on home-buying needs to be tailored to your individual circumstances. This is where working with an Independent Financial Adviser (IFA) can be most beneficial. By seeking out an expert who has experience of working with dental professionals, such as one of the IFAs at money4dentists, you can be assured that the advice you receive will be specific to the challenges you face. Your first step onto the property ladder is just the start: by getting the right advice at this stage, and maintaining the relationship with your IFA, you can progress to making more personal and professional financial decisions in the future. Patience is a virtue, especially if you’re looking to make the most of your money in this economy! However, armed with the right knowledge and, of course, patience, property investment can make a real difference to your future. Dentistry can become an all-consuming career, particularly when you’re the principal or partner of a practice and, as we all are, committed to improving the health of our patients. The lines between work and leisure can easily start to blur and your own health and happiness begin to suffer. There are a number of ways to address this challenging issue, one of which is to find a path to help secure your financial future in a way that is not overly time-consuming. One such possibility is to capitalise on property market conditions that, if done cleverly, can result in a happy balance between work and home. Now, property investment is no quick fix and there are rules, regulations and taxes to take into consideration, to name just a few potential stumbling blocks. However, with a little ‘inside’ information, all of this can be wisely addressed and, in fact, pose no hindrance. Nonetheless, it would be remiss not to state at this point that there is no such thing as a risk-free investment; what we’re aiming to do is reduce the probability of making a poor deal and increase the likelihood of making instant equity when buying property below market value. So, where to start? As it takes time to become an expert in one area, it makes sense to stick to your neighbourhood, as you know the good and bad areas, where parents want to send their children to school, what the transport links are like, where people find it hard to park, etc. Even knowing all this in your own area will take some time and research, but once you have done the hard work it will be a lot easier for you to spot a bargain – or not! • Know how to manage the properties. For tips on how to approach the above-mentioned all-important points in the same way as the professionals, look out for Part 2 in this series. The content of this article is for information purposes only and should not be relied upon when making financial choices. It is recommended you seek the help of a financial adviser to assess your needs fully before making any decisions and/or making changes.